I look forward working with the employees, leadership team and the Board to continue to transform Synagro into a unique and distinctive company admired as the industry leader. Synagro Technologies, Inc., the preeminent provider of biosolids and residuals solutions services in the United States since 1986 and a member of the EQT Partners (EQT) portfolio, today named Robert “Bob” Preston as the company's new president and chief executive officer (CEO). Preston brings significant experience in chemical, industrial and consumer product market segments and an outstanding track record of business growth and success throughout Asia, Europe and the U.S. Since 2014, he has served as president, CEO and chairman of GSE Environmental, a global industry leader that manufactures and installs flexible geosynthetic liners used to prevent groundwater contamination. Preston began his career in engineering and operations positions with DuPont and progressed rapidly through increasingly responsible assignments throughout his career with companies such as Eastman Chemicals and Allied Signal/Honeywell. Collectively, he has served as COO, president or CEO at four companies spanning 12 years. He has a Black Belt in Lean Six Sigma and holds a Bachelor of Engineering degree from Northeastern University with a Master of Engineering degree from Rutgers University. 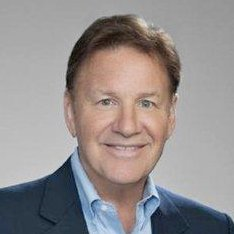 "Bob is the perfect person for the job because of his extraordinary depth of leadership experience and his track record of successfully transforming good organizations into great ones," said Tom Rooney, Synagro's Chairman of the Board. "As a Lean Six Sigma Black Belt, he is perfectly poised to lead Synagro on just such a journey and I am looking forward to working with him." Founded in 1986, Synagro Technologies, Inc. provides environmentally sustainable solutions for commercial and municipal organizations that generate organic by-products. Synagro consistently transforms industrial and municipal waste into environmentally friendly resources that benefit our communities. As the largest recycler of organic by-products in North America, Synagro uses best-in-class processes, from beneficial reuse to renewable energy, that adhere to the strictest of environmental regulations to provide compelling solutions for communities across the continent. Serving more than 600 municipal and industrial water and wastewater facilities in the United States and Canada, Synagro’s leading systems of organic by-product management services support municipalities of all sizes in saving money and meeting environmental regulations. Visit synagro.com to learn more.